Not All Millennial Employees are Created Equal! So, Don’t Pay Them Like They Are. Millennials have recently achieved majority status in today’s global workforce. This trend is affecting everything from talent acquisition to recruiting strategies. And if you're a business leader, the coming of age of Millennials has likely created one particularly difficult challenge for you: How do you pay them? Few chief executives and enterprise owners are finding a satisfactory answer. So, we’d like to provide one. The truth (versus the myths) regarding Millennials in the workplace. How career phases impact the way companies should construct Millennial pay. What Millennials consider to be their financial “hierarchy of needs” and how it should influence the pay programs you offer. 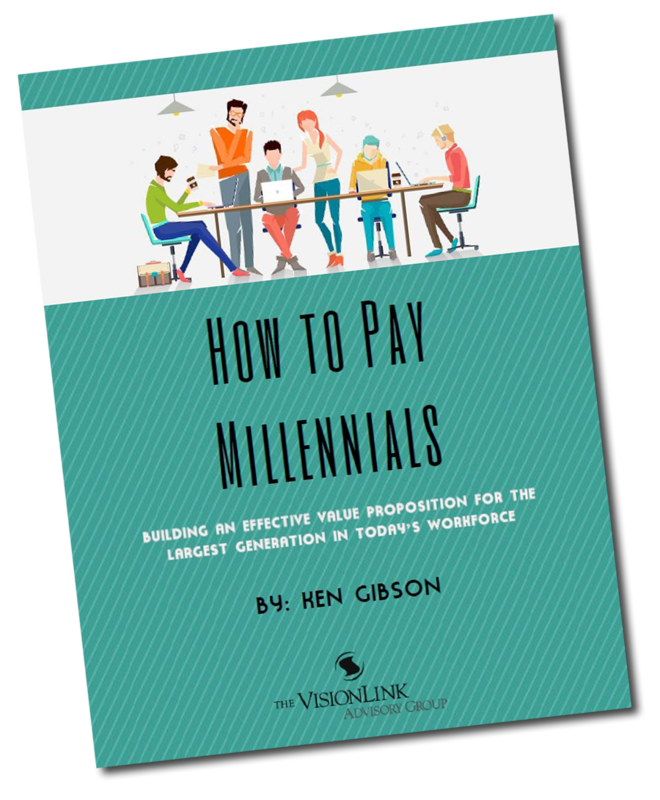 The relationship between pay and improved Millennial employee relations. How a Total Rewards approach makes managing Millennials easier. How to create a pay strategy that aligns Millennials with company growth goals. How to use marketing principles to build a more effective Millennial compensation plan. VisionLink has helped us successfully engineer a long-term incentive plan that has empowered our company to reward and retain key talent while increasing shareholder value. The knowledge, patience and deep experience of its team members helped us navigate a road that was unfamiliar to us. Ultimately, VisionLink designed a plan that met the high standards of both stockholders and key management employees.